Brian, a maths graduate, has concentrated on sales and marketing throughout his career. He has spent over 30 years in the lighting industry, working with lighting controls, drives and the latest in lighting technology. 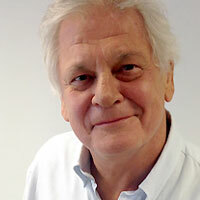 He has managed contracts at venues such as the Sultan’s Palace in Muscat Oman, Bridgewater Hall Manchester, and the Institute of Mechanical Engineering, London. When he’s not talking to customers about the next lighting project, Brian is an accomplished pianist, church organist, and keen walker. After obtaining an MA at Cambridge, Alex began his career creating crystal oscillators. Experienced as a senior engineer, Alex headed a development group for a telecommunications company in Switzerland. While there he chaired the RES04 committee in the European Telecommunications Standards Institute, developing new standards for pagers. Since joining Multiload, he has helped expand the company’s digital capabilities. When he’s not driving technical developments, Alex is an experienced sailor and photographer. Having gained a distinction in product design from West Sussex College of Design, David started designing lighting and bespoke furniture for clients such as Eva Jiricna Architects. In designing world-class lighting controls for clients such as BP, David has brought unique design solutions to the lighting drives and controls market. David has managed large projects such as Wales Millennium Centre and the Marriott St Pancras Renaissance Hotel. When he’s not designing new lighting products, David is a brown belt in Tang Soo Do, keen sailor, cyclist and family man. Paul graduated in modern languages from Oxford University and is fluent in five languages. He began his career with a company specialising in forging links with businesses in Russia and Eastern Europe. This experience demanded extensive managerial and administrative skills which Paul has brought to his role at Multiload. 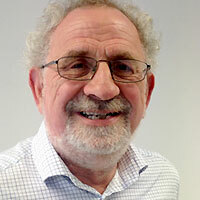 When he’s not managing systems, Paul is involved in voluntary work and sits on the committee of a housing association. He is also an avid reader.